We’ve had a reputation as one of the highest quality printers in the country since our founding in 1975. Combine that with quick turnaround, outstanding customer service and competitive pricing and you have an unbeatable combination. Say it in print. Say it with Lithographics! We continually acquire new technology and update our existing equipment. If you think the equipment is good, you should meet the people operating it. 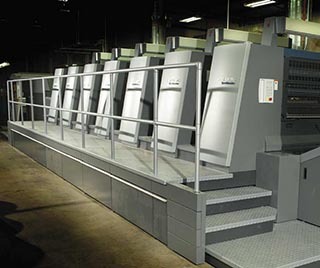 Print will continue to be a critical element in marketing campaigns. Let us be your partner in using its power to grow your business. Contact us for a quote.